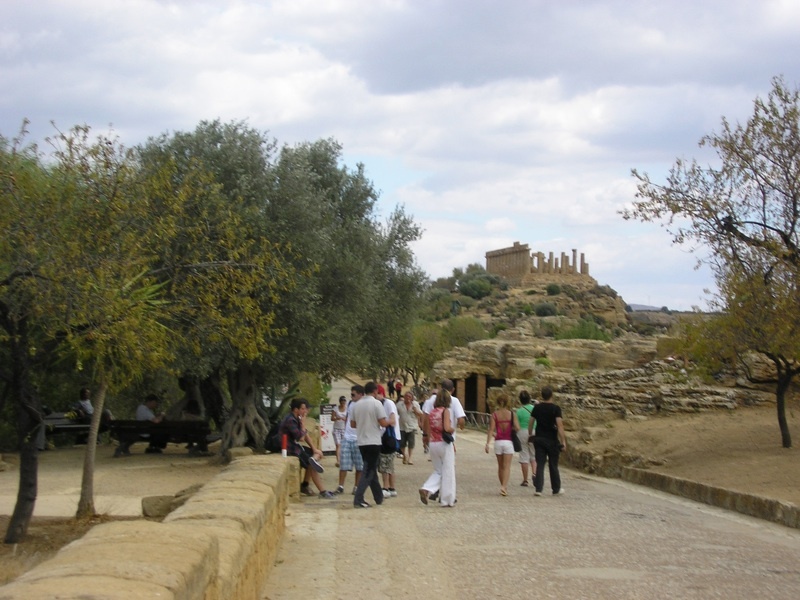 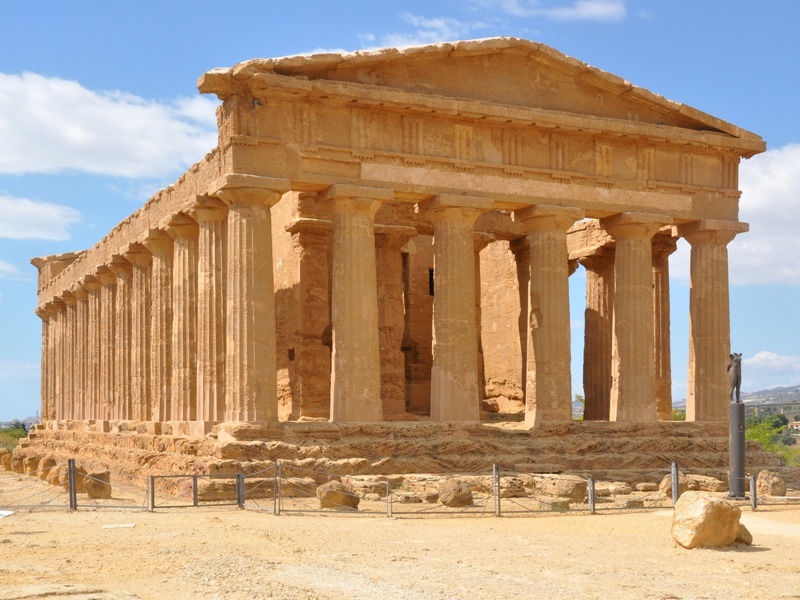 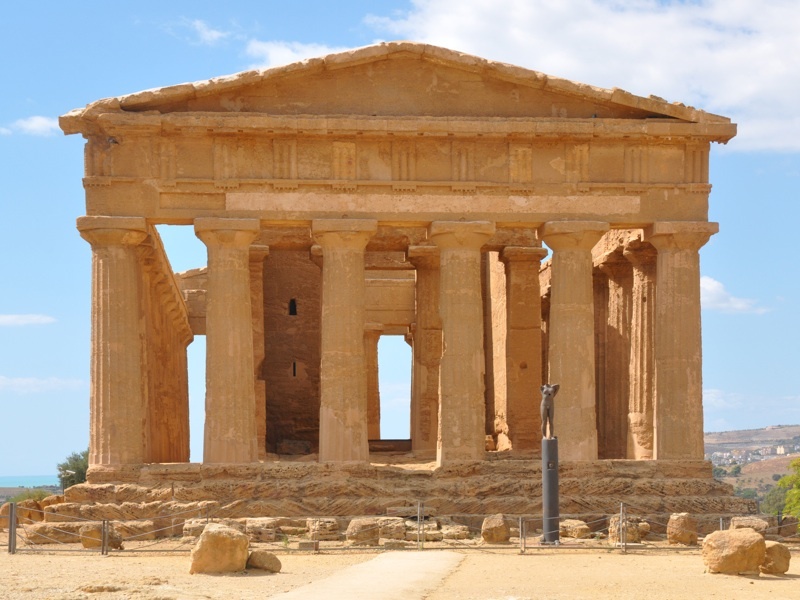 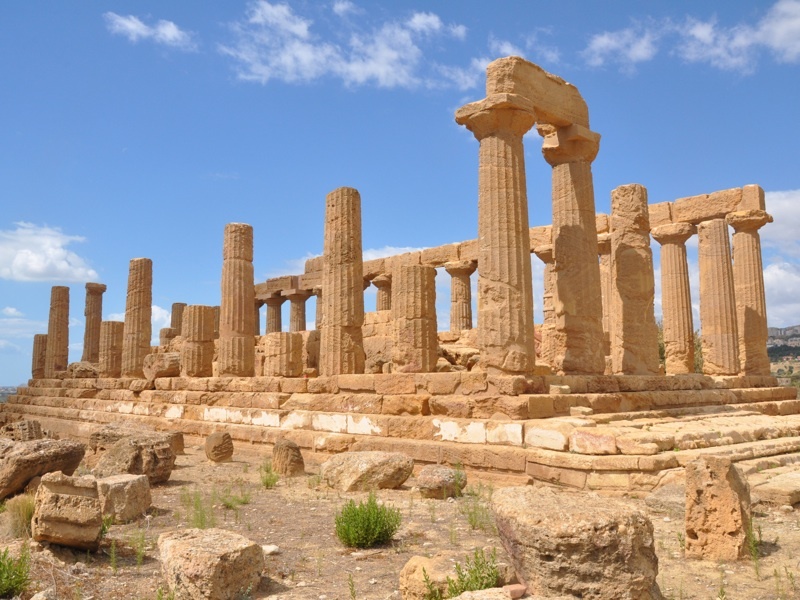 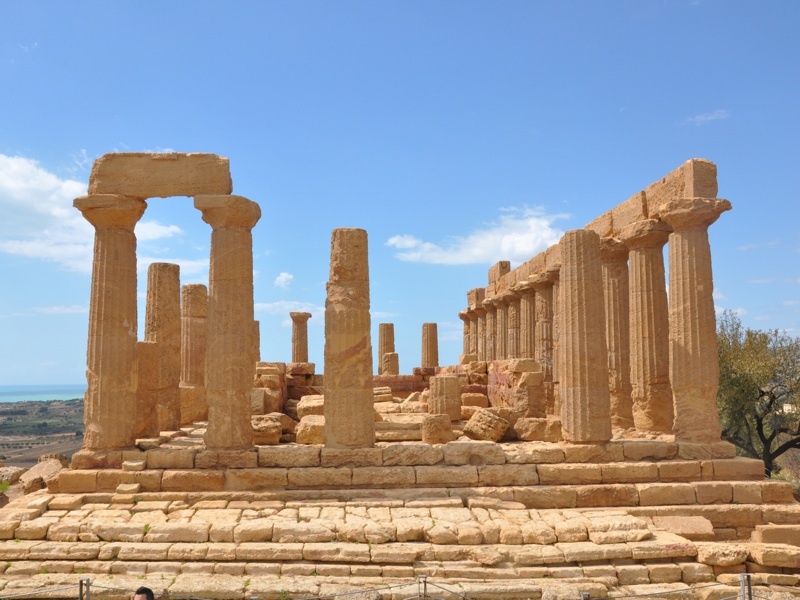 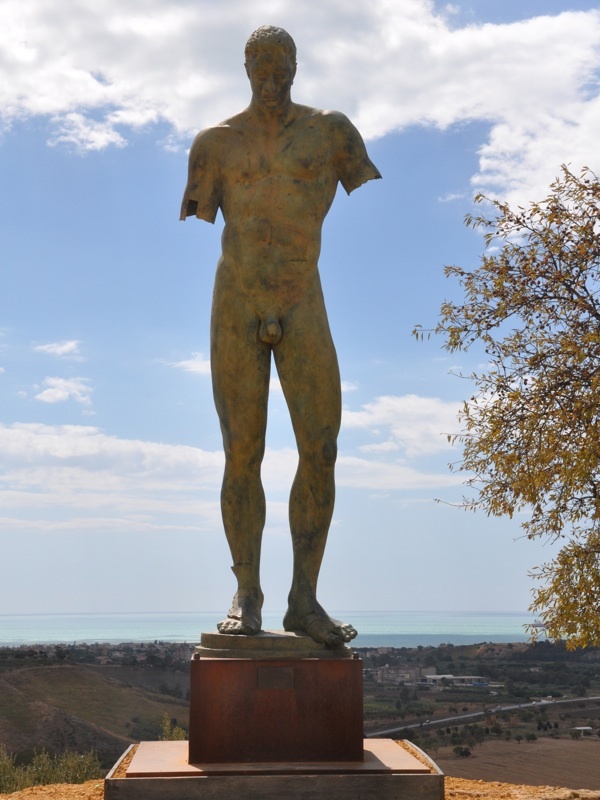 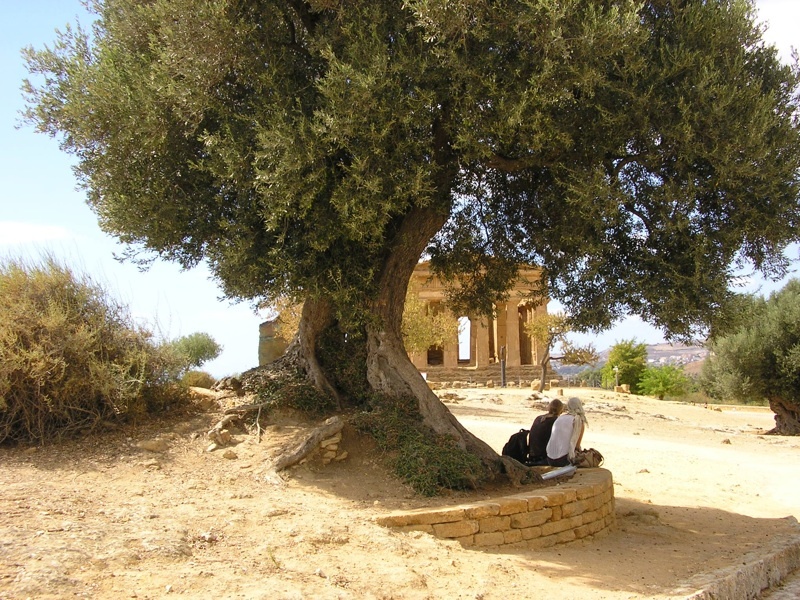 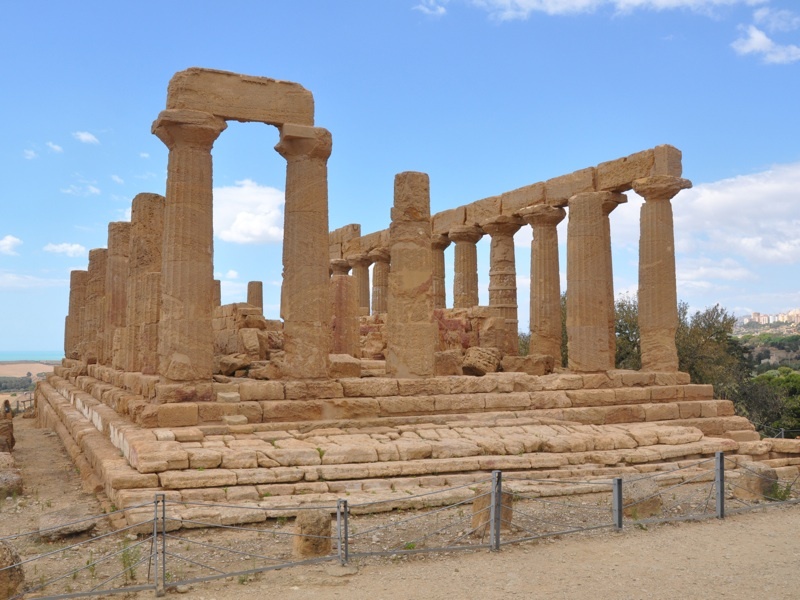 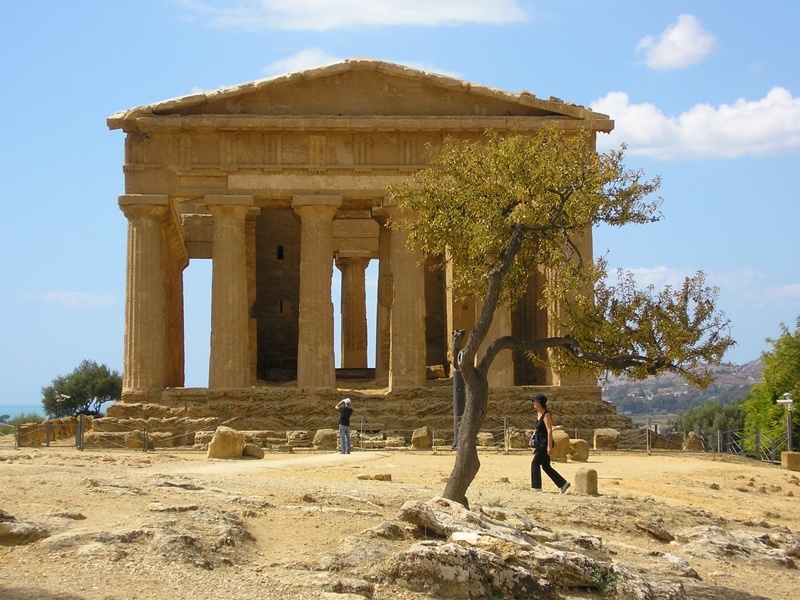 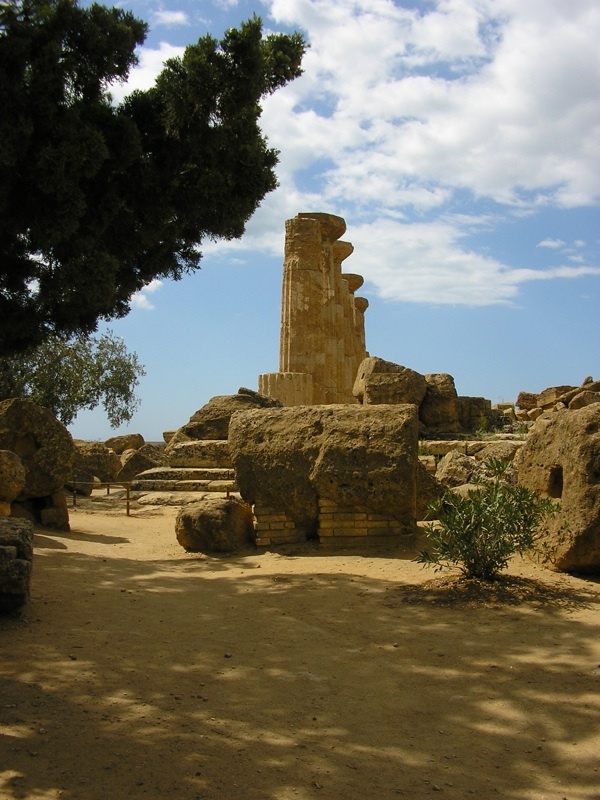 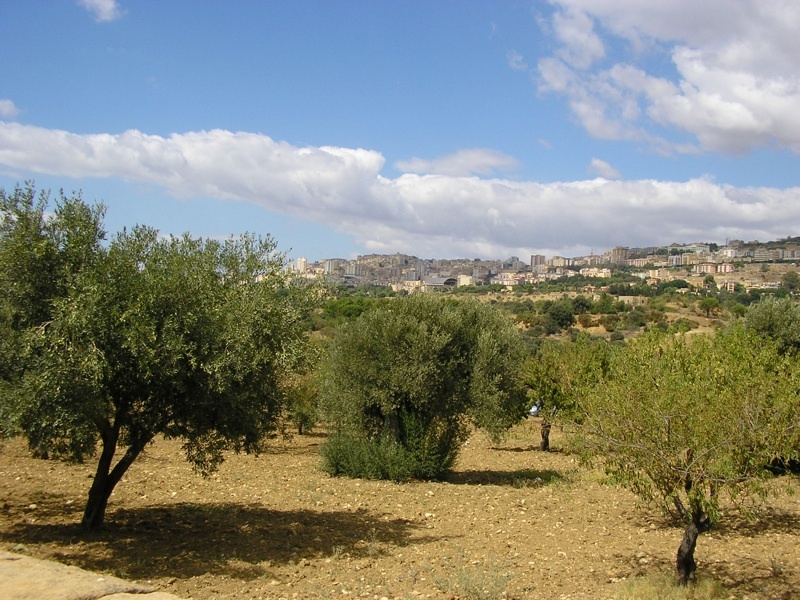 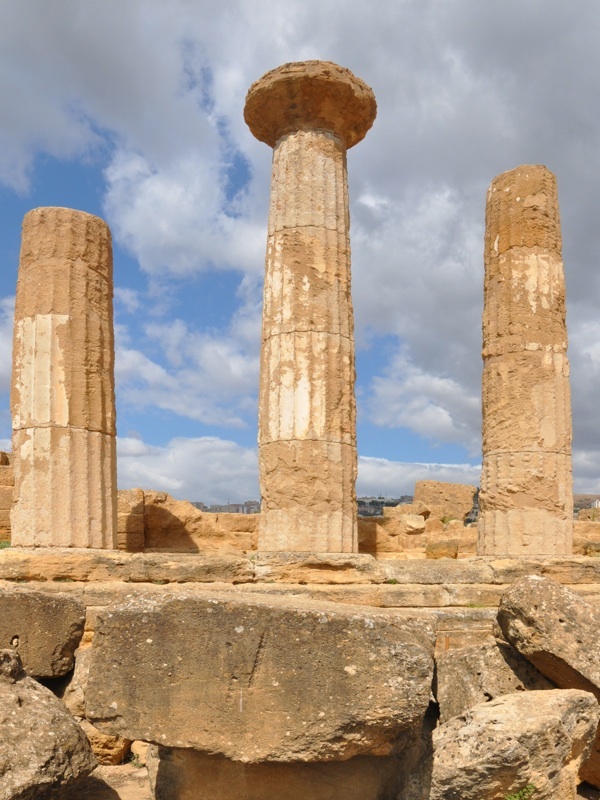 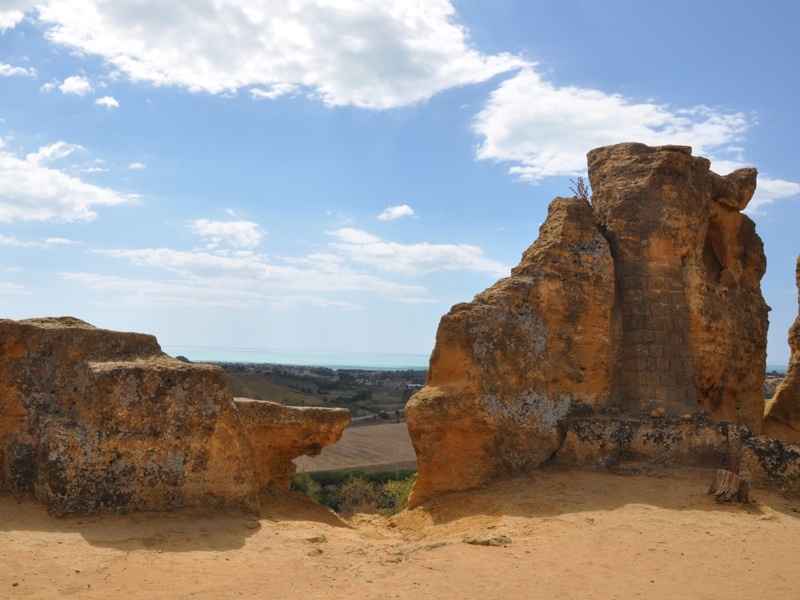 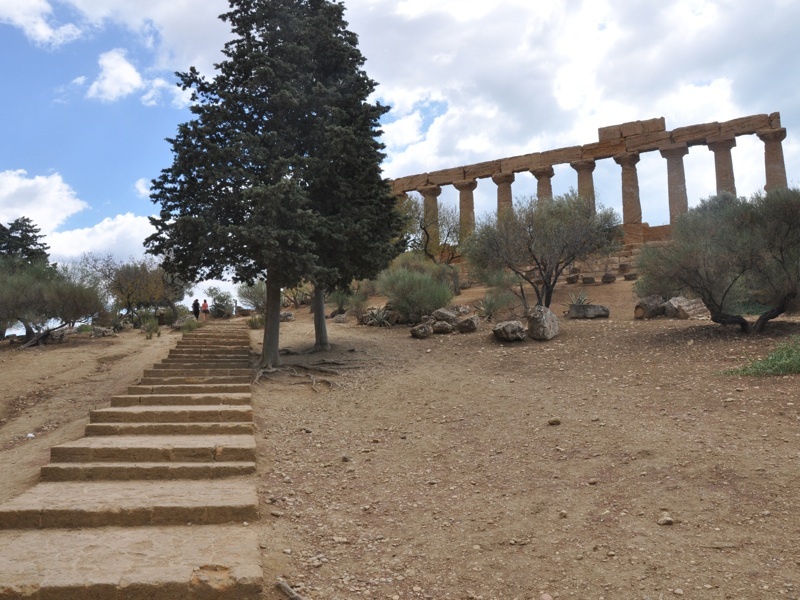 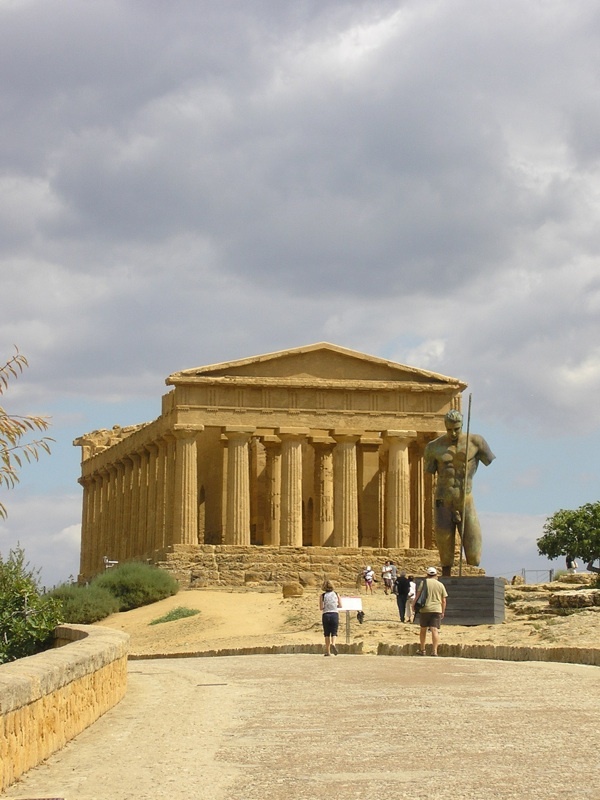 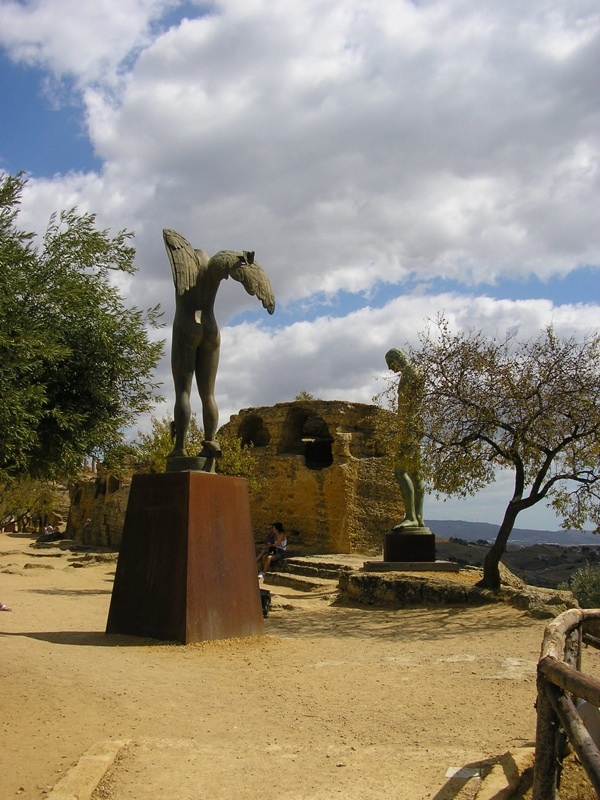 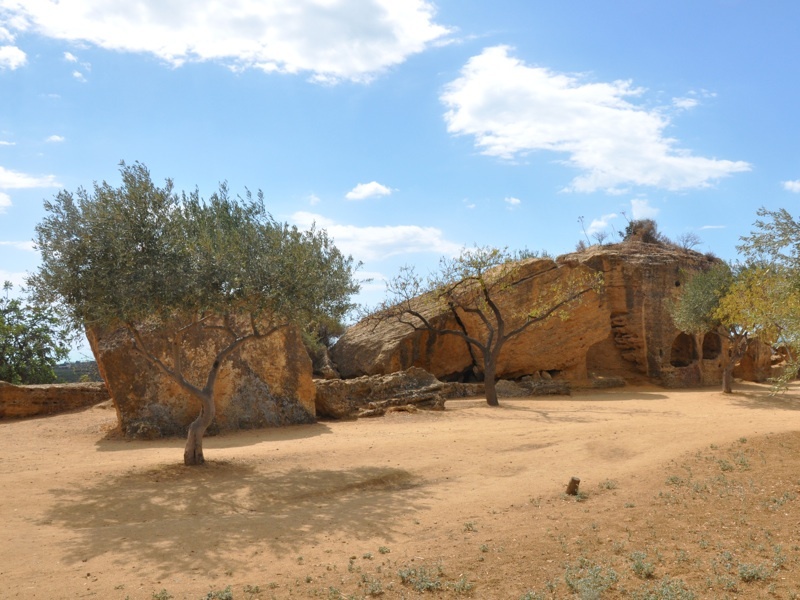 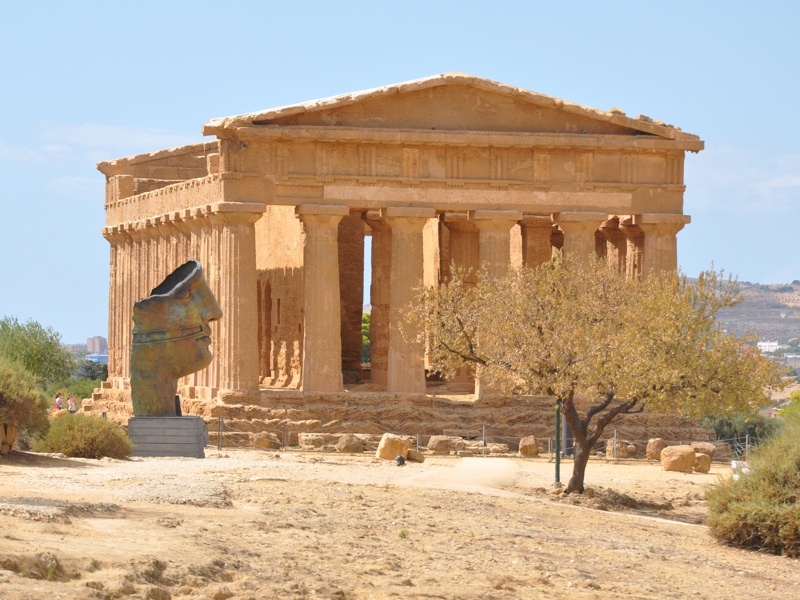 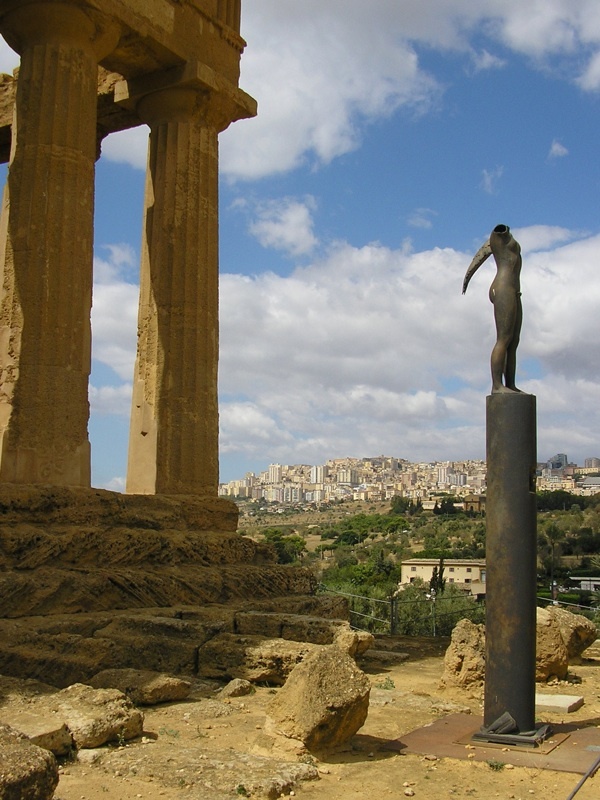 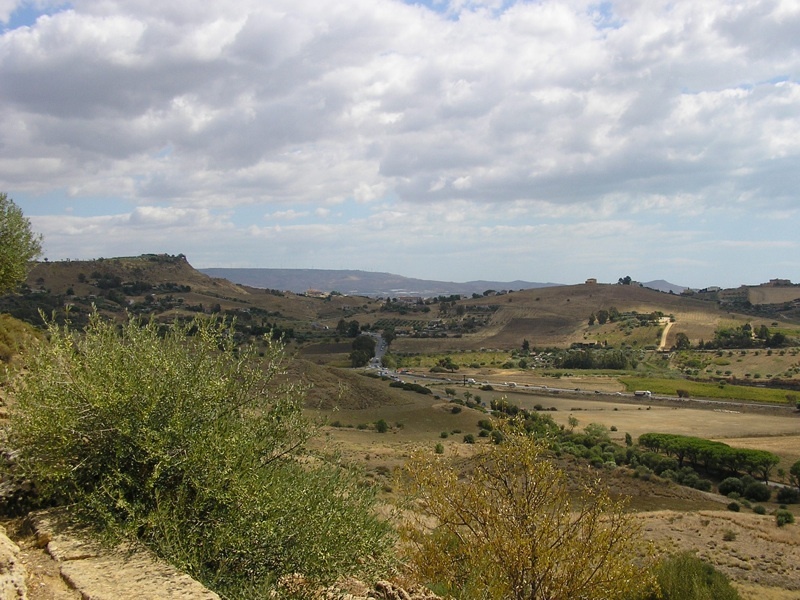 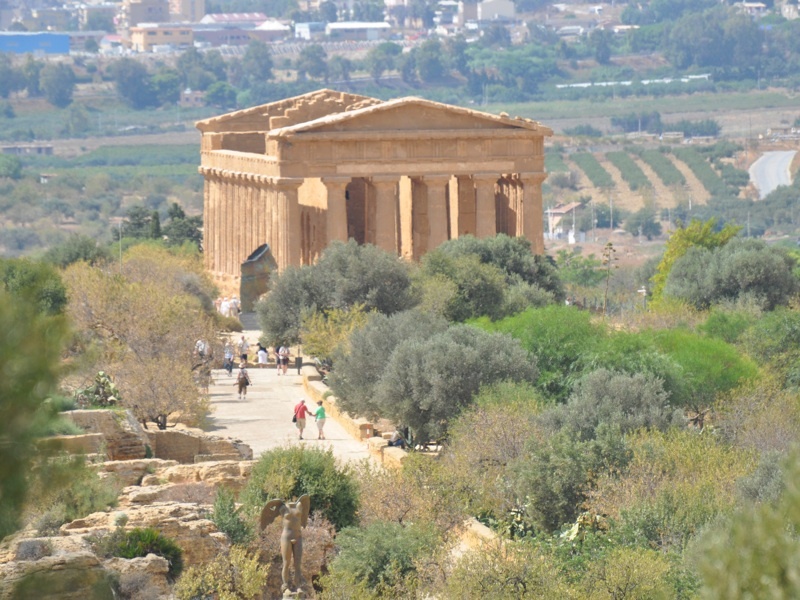 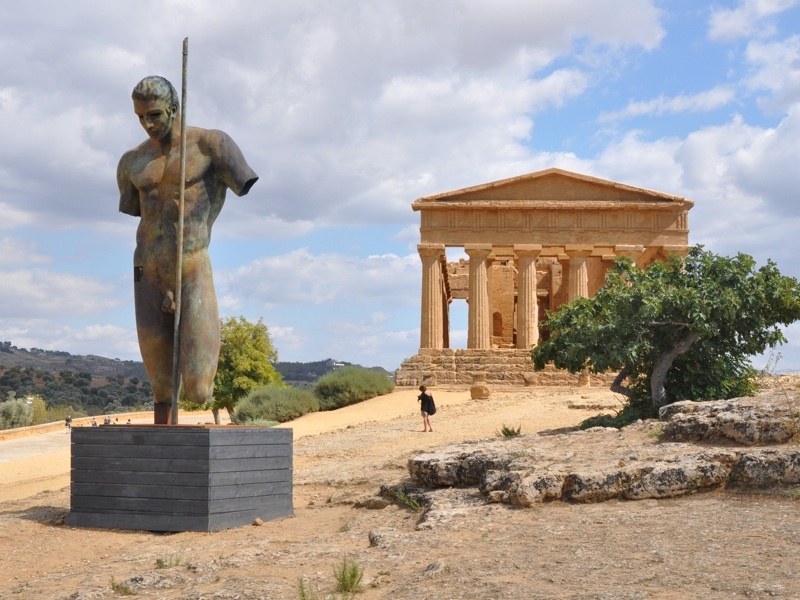 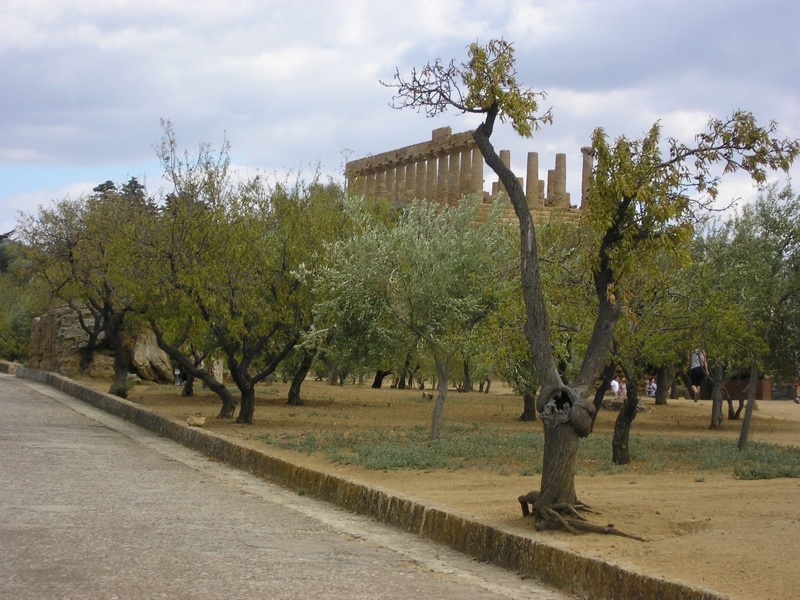 Agrigento is a city (with about 60,000 inhabitants) on the southern coast of Sicily, Italy. 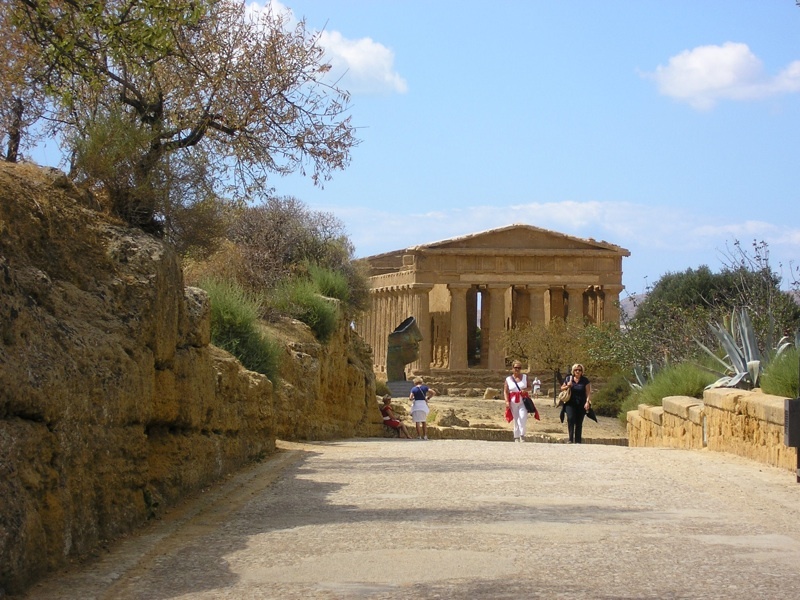 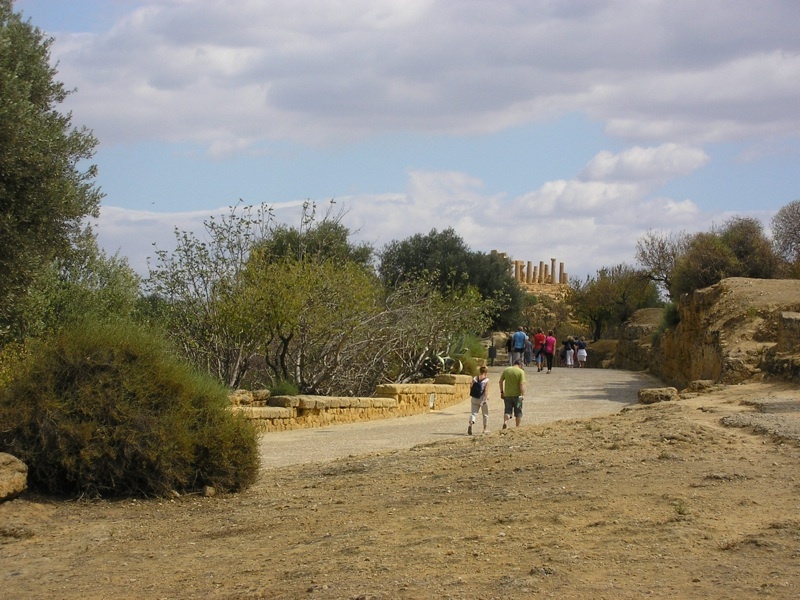 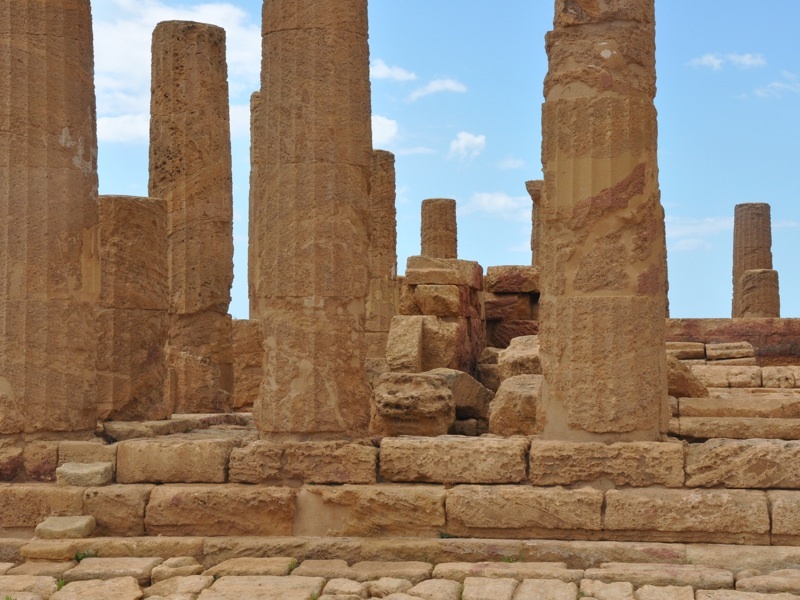 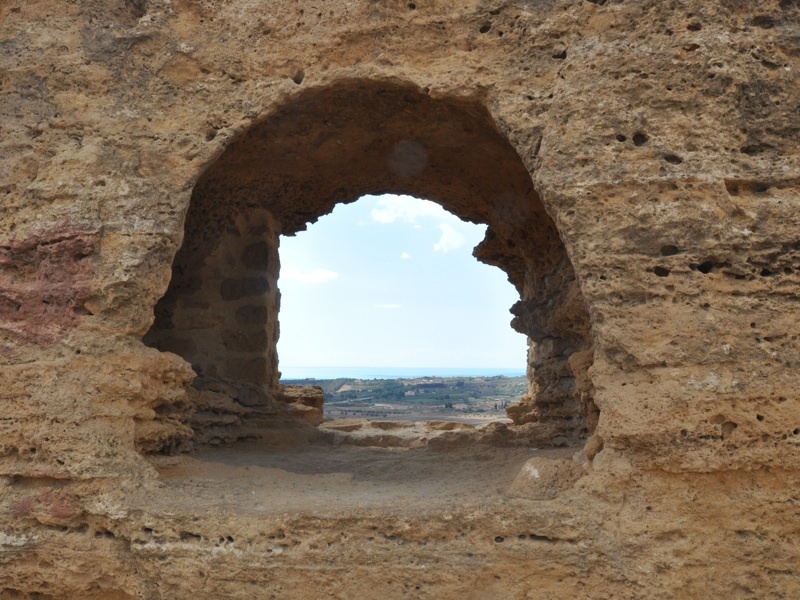 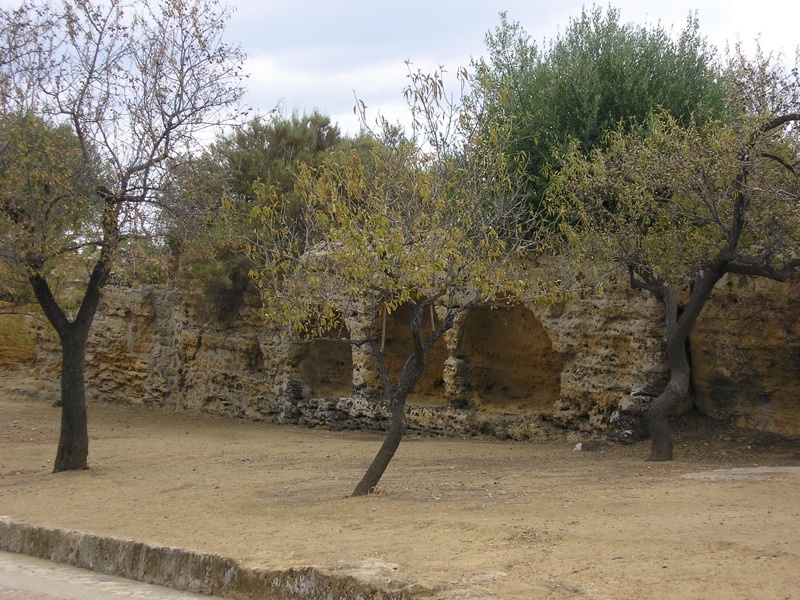 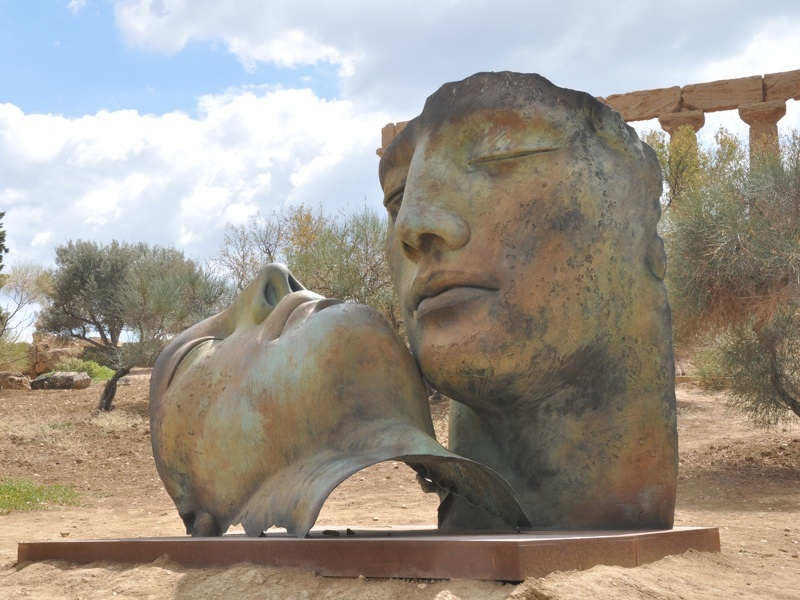 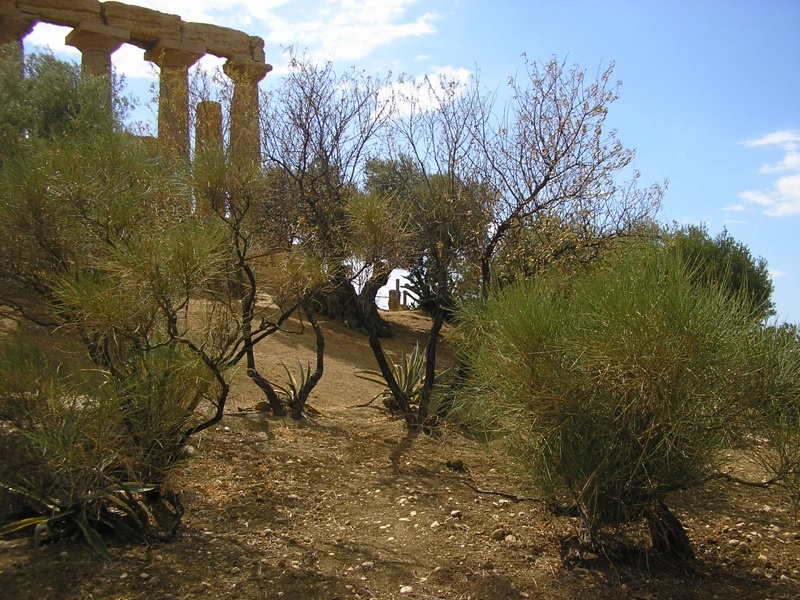 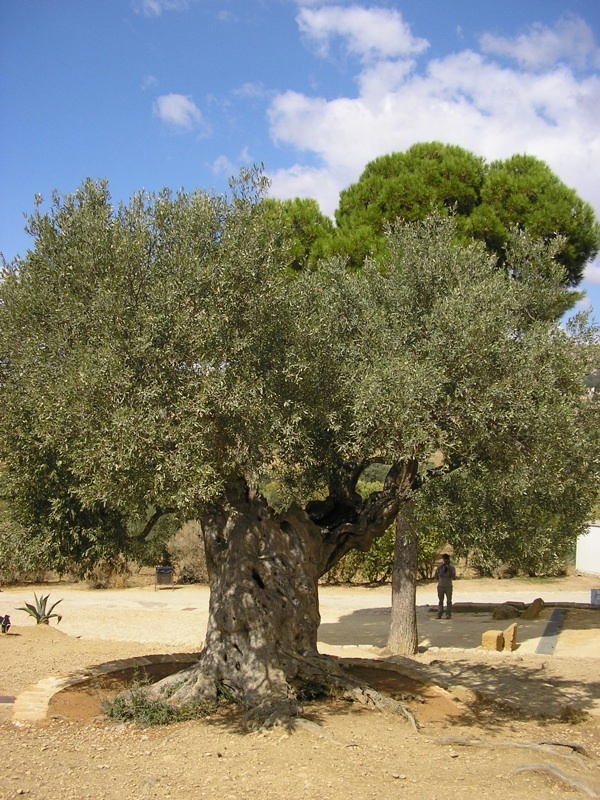 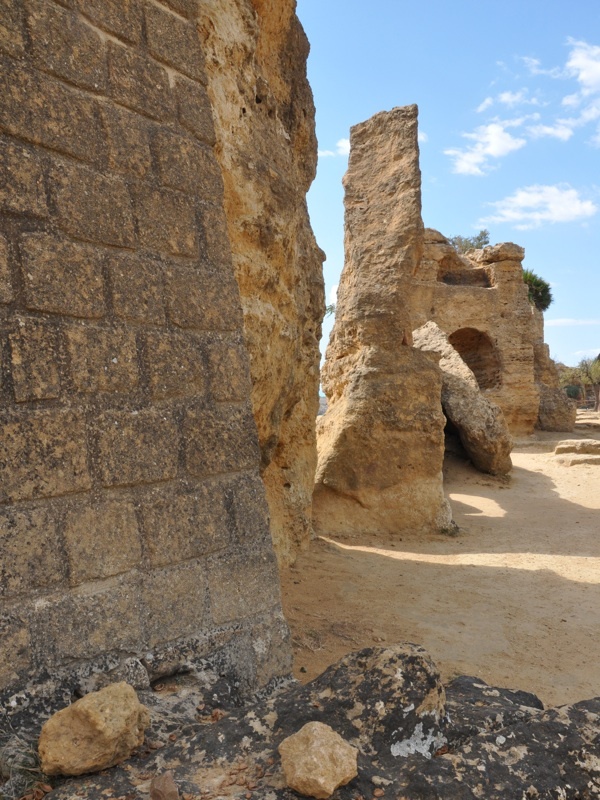 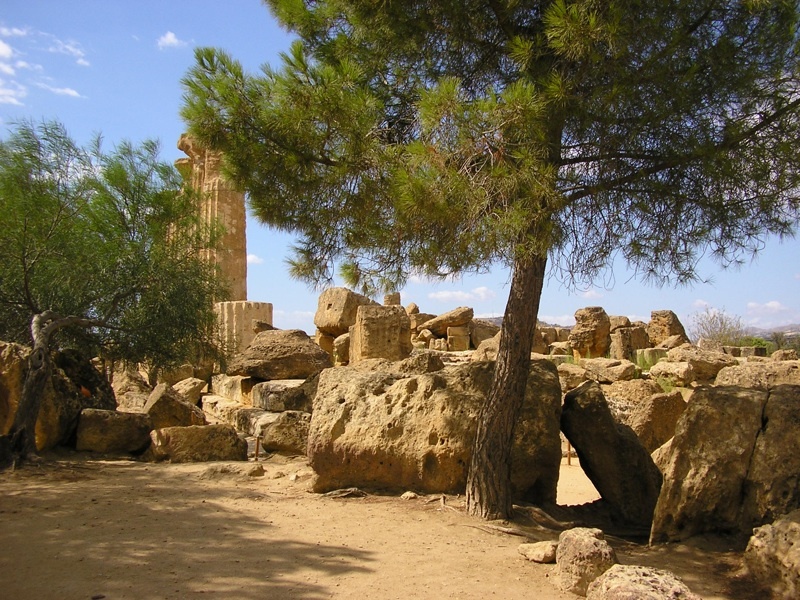 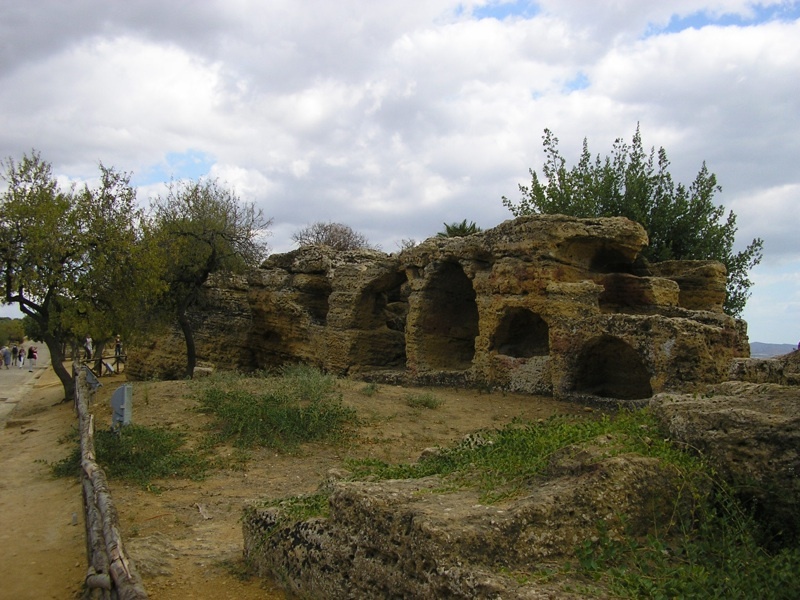 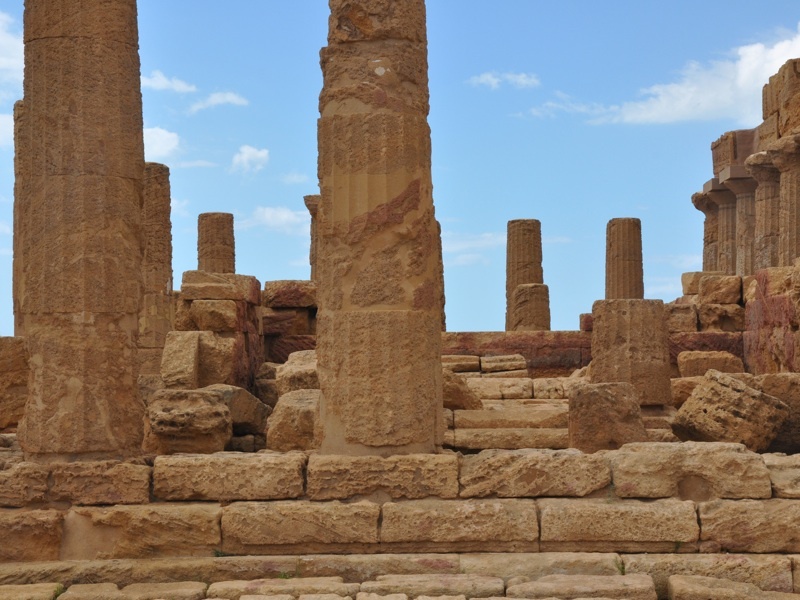 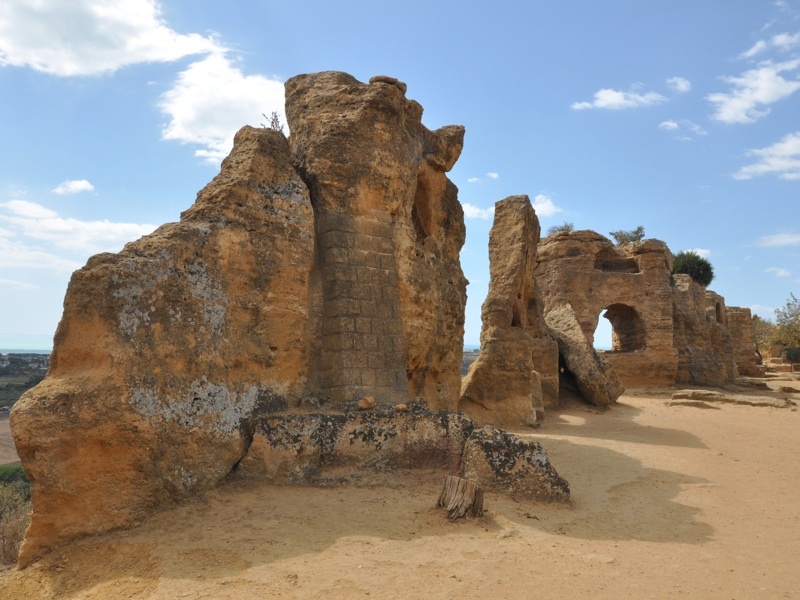 It is famous as the site of the ancient Greek city of Akragas. 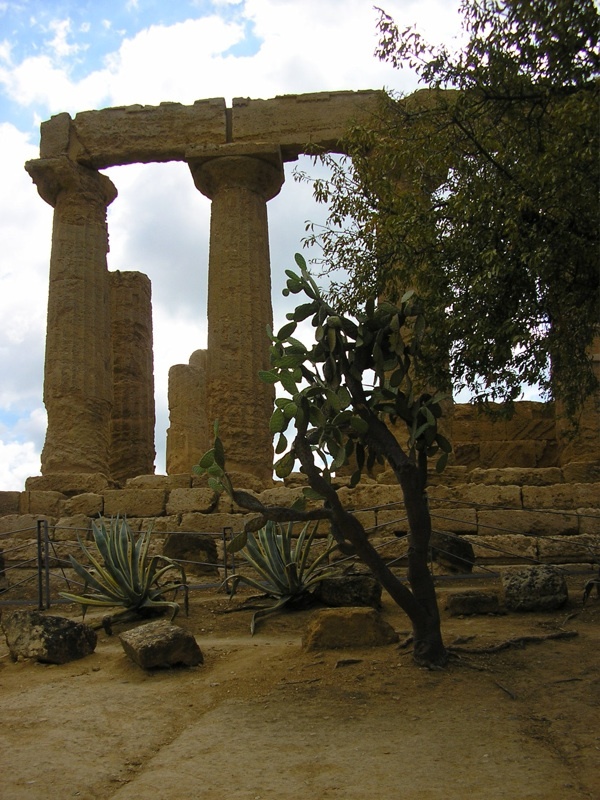 The main attration is archaeological site known as the Valley of temples (Valle dei Templi), with several Greek temples in the Doric style constructed during the 6th and 5th centuries BC, excavated and partially restored. 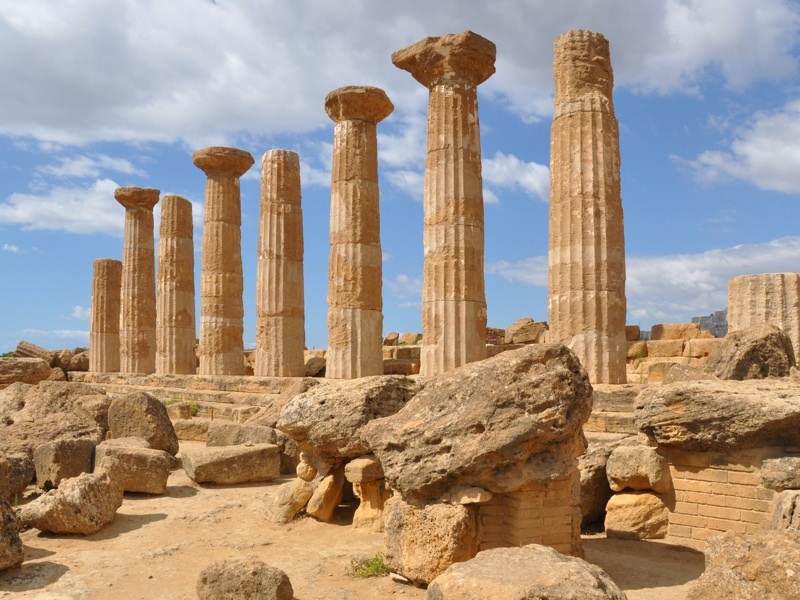 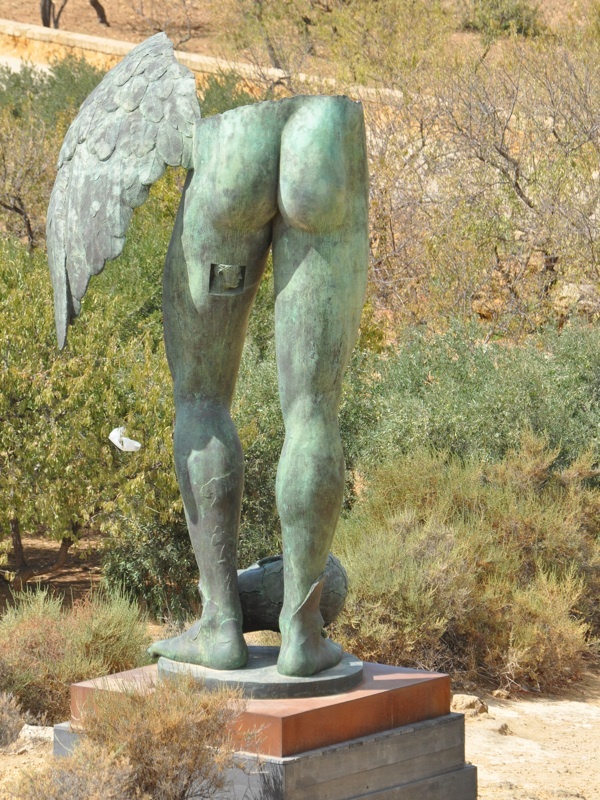 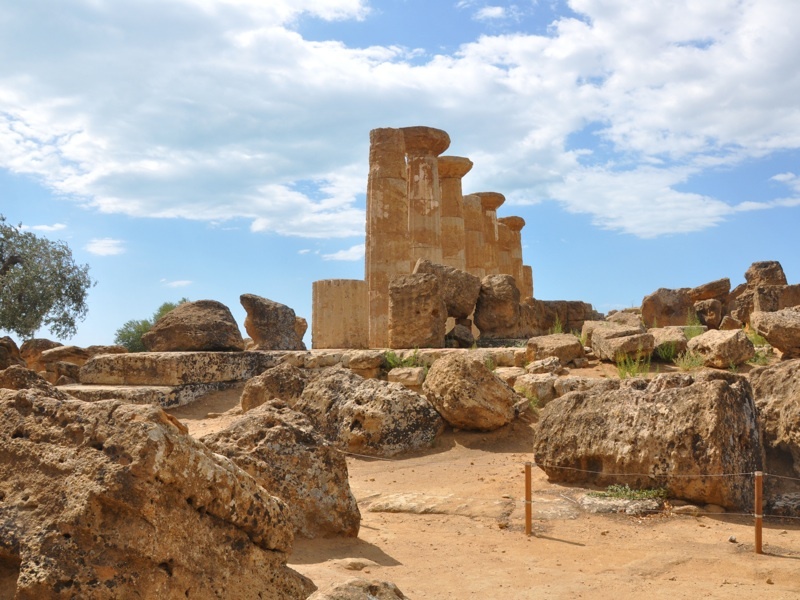 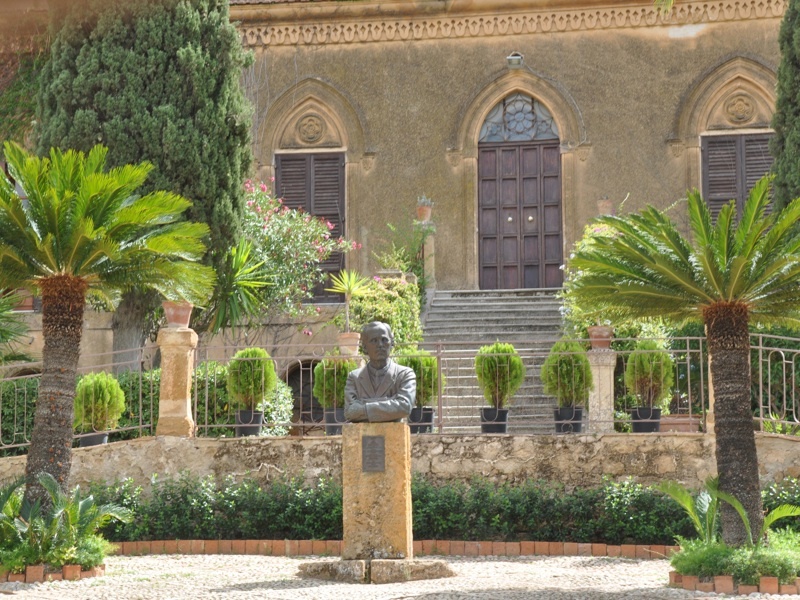 The area is considered to be one of the most outstanding examples of Greater Greece art and architecture, and one of the main attractions of Sicily. 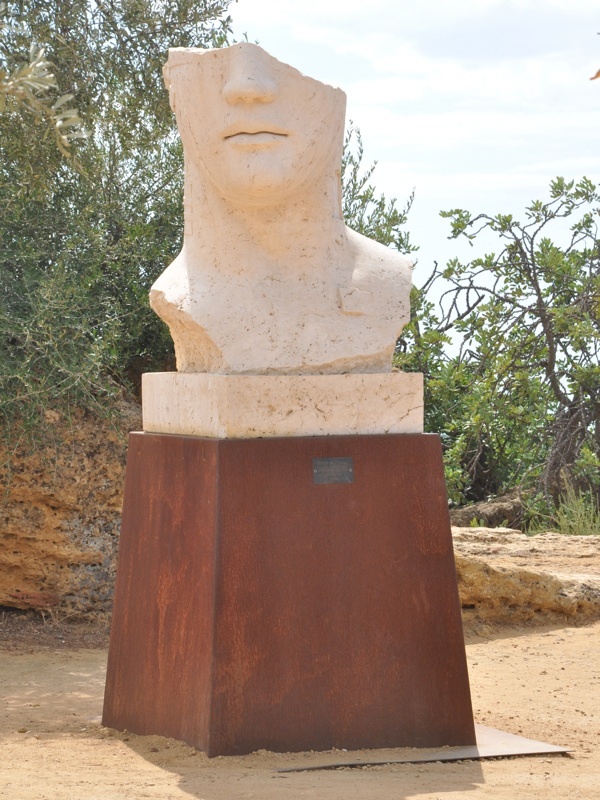 Widoczne na części zamieszczonych poniżej zdjęć gigantyczne, inspirowane antykiem rzeźby z brązu - to dzieła Igora Mitoraja (1944-2014), od kwietnia 2011 roku stanowiące stały element strefy archeologicznej Valle dei Templi.